We are famous for our safaris but did you know that you can also enjoy a marine safari off the coast of East Africa? We have several wonderful places where you can explore the incredible range of marine wildlife whilst swimming in the crystal-clear, bath-warm waters of the Indian Ocean. This small and intimate award winning eco-resort is set on the tiny and unspoilt island of Pemba off the coast of the larger island of Zanzibar. This resort has won many awards for its barefoot luxury accommodation and this year it won the Best Marine Safari Experience in Africa for 2015. The resort and its partner diving operation , Dive 71, focus hard on preserving the unique marine ecology in the area whilst offering a 5 star PADI diving experience. You can do everything from snorkelling up to specialist week long diving qualifications. The area’s main attraction are the warm, clear waters with visibility between 20-40 metres and temperatures around 25-28 degrees. 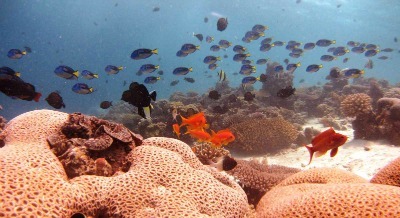 There are miles of pristine coral reefs which hosts a vast array of fish and other sea creatures. The shallow reefs combine with huge drop offs which make for exciting diving and also a spectacular range of sea creatures. This area has currents so all diving is drift diving. 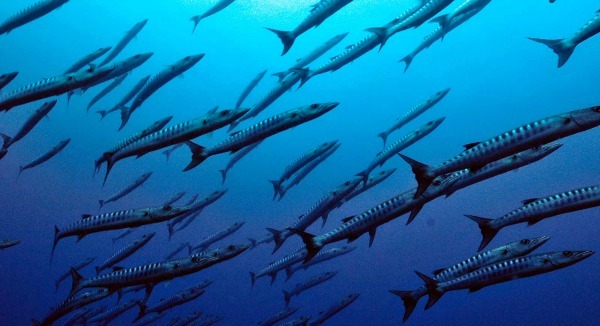 The area has a wide range of marine life from hawksbill and green turtles to manta and eagle rays, from dolphins and barracuda to tiny reef fish. At certain times of the year you may see whales passing on their migration routes. This area is one of the best diving locations in the world. Click on the link to find out more about Fundu Lagoon. Another award winning lodge that we are proud to offer is Ibo Island Lodge which won the Best Marine Safari Property at the Safari Awards this year. This stunning lodge on a tropical island off the coast of Mozambique is also an excellent place to see the incredible marine wildlife in this area. 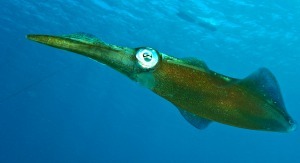 You can go snorkelling if you are inexperienced but just want to catch a brief glimpse of the underwater life. You can head deeper to the coral reefs and dramatic drops for the more serious and experienced divers. The PADI dive centre at Ibo offers a wide range of diving experiences and qualifications. This area offers incredibly beautiful underwater landscapes with clear waters and excellent visibility and warm temperatures. There are gentle currents here so no worries of drift diving. The best diving around Ibo Lodge is at a place called the Light House. It’s a long coral reef that stretches across a square kilometre. This shallow reef contains large gardens of coral tables, soft corals, bucket corals, green tree corals and a drop off of 21m were you can see a good range of tropical fish. Another site close to Ibo is Matemo where you can swim with dolphins and turtles and the many brightly coloured reef fish. Another exciting place to dive is the wreck of a 100 year old steamer just off a nearby sandbank. As this is shallow it is perfect for snorkelling and the water is so clear that visibility down to the wreck is excellent. The Quirimbas Archipelago is a magical mix of rare and beautiful fish, pristine reefs, crystal clear waters and fantastic marine mammals. Whether you are an experience diver or a novice snorkeller you can see all kinds of marine life including dolphins and turtles, not to mention the hump backed whales which you can often see between July and September. 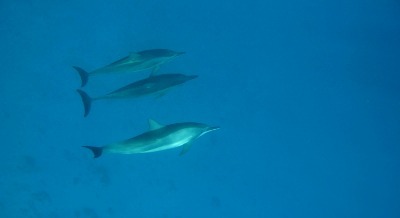 Ibo Island Lodge also offers the rare experience of swimming with wild dolphins in their natural environment. The dolphin experience lasts 2-3 hrs and includes an introduction to dolphins and their behaviour, a briefing on boat safety, marine life and responsible interactions with the dolphins. The dive centre uses the regulated Swim Code of Conduct, created to ensure a sustainable eco-friendly approach. They wait for the dolphins to approach and never try to swim after them. Dive Quirimbas is an Ethical Marine Mammal Campaigner in Mozambique who supports the dolphin care code of conduct.